A parent’s worst nightmare and if anything bad happens to Hae Ram you know Mi So will carry that scar for the rest of her life as it’s one a person just can’t ever completely recover from. The panicked Mi So starts asking others if they have seen her daughter since her search didn’t turn up anything. Unfortunately no one notices Hae Ram. Where is our little girl? She’s with Kang Sik and crying for her mother. Where is he taking her? To Na Young? A child crying like that is heartbreaking—it really is. Mi So cries and crouches down. What will she do? She is shaking so badly that she cannot even operate her phone. She puts in a call to the police sobbing and saying her daughter Hae Ram has gone missing. The planning department are wondering just what is going on. Did Na Young really get fired because of a kiss? That doesn’t seem likely since Myung Ja handpicked her as her next daughter-in-law. But more importantly…will Na Young’s absence effect the outcome of the presentation? The two workers then get called into Min Jae’s office to discuss the presentation. He tells them to work hard until a new manager is found. Enter Myung Ja with a list of candidates for Na Young’s old position. Min Jae is shocked at how fast his mother moved. He puts down the list. He will be the one to choose the manager. When will his mother stop usurping his authority and treating him like a child? 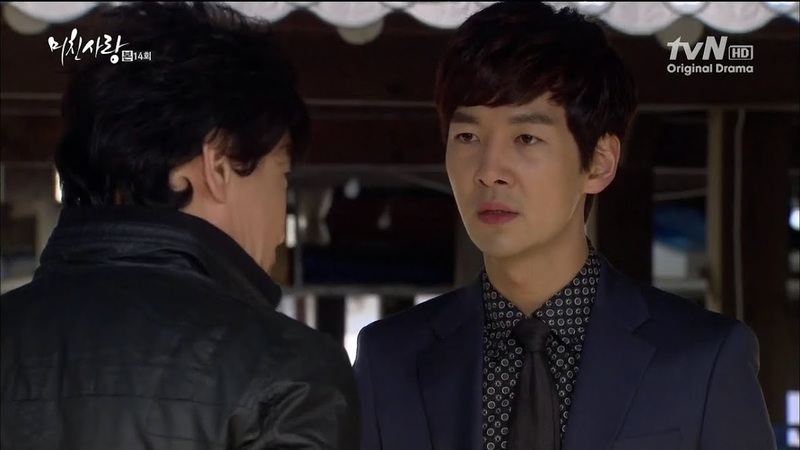 Myung Ja reminds him of the latest incident and of course blames him. Shakes head. It was really her pushing Na Young down his throat as well…but she’ll never accept culpability. Mi So sits in the empty market crying. She takes her phone again and shakily tries to call her husband, but hesitates. Back at the office, all the people Myung Ja is introducing as replacements are single females. This annoys Min Jae…and me. 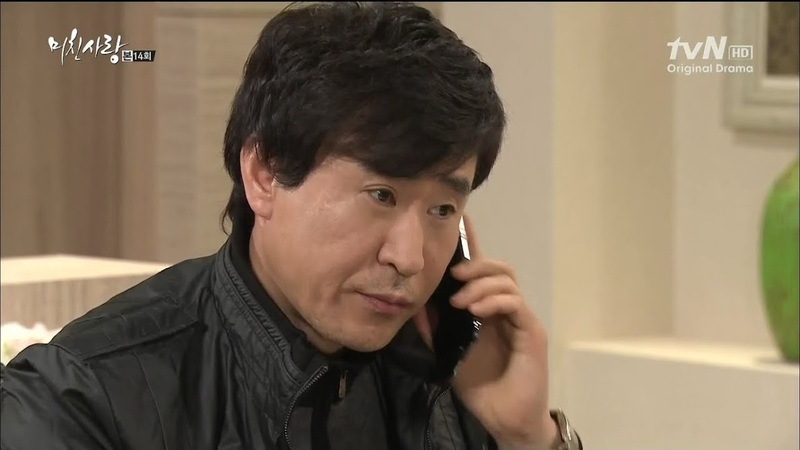 Min Jae then gets Mi So’s call about losing Hae Ram. Min Jae starts panicking as well. His mom asks him what’s wrong, but Min Jae just rushes out of the office and promises to call his mother later. The police have finally arrived. Mi So pleads with them to find her Hae Ram. The officer says they will do their best and as he leaves to do the search, Min Jae rushes up. How could his daughter disappear like that when she was with her mother? 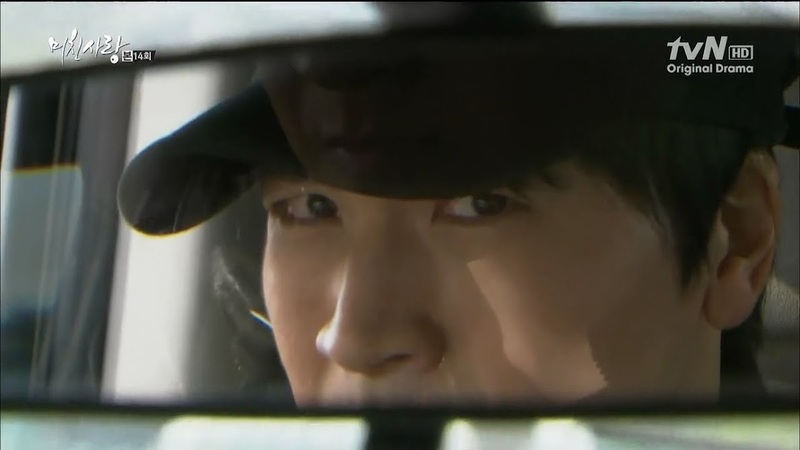 Mi So nearly collapses and Min Jae catches her and tells her to go rest in the car. Myung Ja, meanwhile, is freaking out not knowing what the problem is. Go is using this opportunity to do her best to ensure Min Jae’s proposal fails. At the market, the police have employed everyone they possibly can to look. 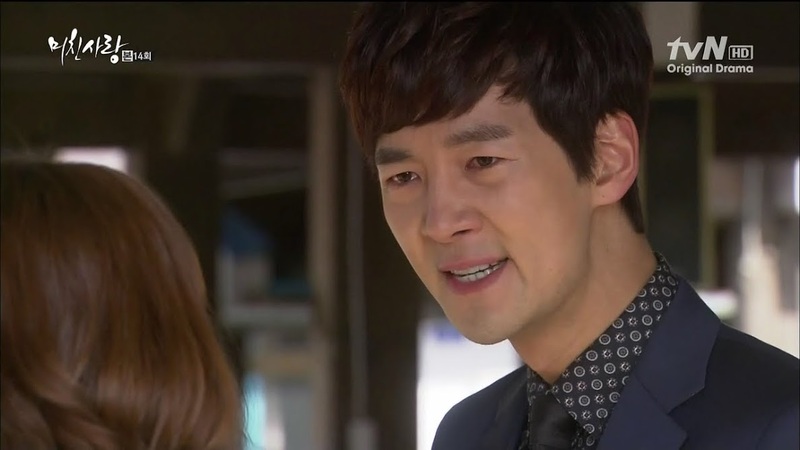 Min Jae pleads with the officer to find Hae Ram as she is his precious only daughter. He starts breaking down and screaming at his wife. He told Mi So to wait to go and visit her mother’s grave. Why didn’t she? Mi So cries and holds her husband. She apologizes as she should never have let her daughter’s hand go. Poor Mi So also needs comfort, but must comfort him as well. 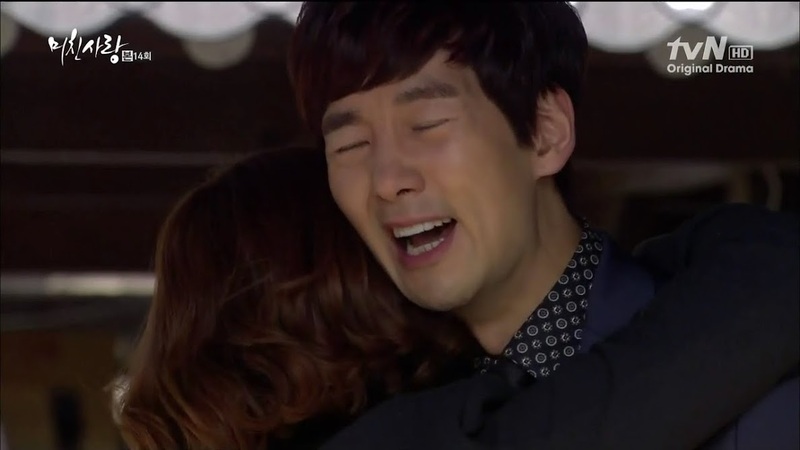 Min Jae’s crying scene…not as believable as Mi So’s. This scene reminds me a bit of the movie The Deep End of the Ocean which was based on a novel of the same name by Jacquelyn Mitchard. In it, there is a scene where the husband yells at the wife that children don’t go missing, people LOSE them. We then get a scene of Oh denying mercy on a man who owes him money and calling Baek in to drag him out. I like the actor playing Baek. This is the first drama I’ve seen him in and he’s pretty awesome. As Baek is draging the man out, Kyung Soo enters. I think to spite Kyung Soo, Baek twists the man’s arm a bit. Oh then calls over his son-in-law to transfer the ownership of the Dong Woo commercial building. This trills Oh. Should they level the building and build a bigger one to get more profit? Kyung Soo begs Oh to give Ko one more chance since they’ve been friends for years. Oh, of course, refuses. Kyung Soo warns of bad press, but Oh doesn’t care. He sends Kyung Soo away and wonders why he’s been so disagreeable of late. In his office, Kyung Soo goes over the paperwork and recalls Baek hurting President Ko on his way out. He throws down the documents and recalls his drunken confession to Mi So about hurting because of the bad deeds he’s done. He agrees it was a petty conscience, but he is not a good lawyer and preys on people with no power. He’s a bad lawyer. Awww. Don’t worry, you’ll become a good one. Of course, Myung Ja is going crazy with worry and not knowing. As soon as she gets a call from Min Jae she screams at him for not calling or answering his phone. Min Jae and Mi So are now at home with the police. After all that time searching, they still haven’t found the missing girl. Myung Ja starts panicking and rushes home where she asks what happened. Min Jae says again that Hae Ram went missing and is nowhere to be found. When she asks how, Mi So explains about the grave visit and marketplace. Myung Ja then starts screaming and denouncing Mi So. Poor Mi So does not need or deserve her mother-in-law’s hysterics. The policeman finally steps in and tells her to stop since this will do no good. I’m not saying she doesn’t love her granddaughter, but it’s almost shocking to see her breaking down to the hysterical mess she is now. At the Yoon house, Yoon has bought Hae Ram some figure skates. Who knows, she might end up being the next Kim Yu Na. Next time, he will buy her golf clubs. Chan Ki complains about Yoon wanting his granddaughter to become famous. What then? Yoon assures his son that isn’t the case, but kids need to experience and try different things. Jong Hee then gives out fruit. Chan Ki refuses it so she shoves it in his mouth. She then eats her own strawberry and Chan Ki becomes strangely fixated on her mouth. LOL. Some nice humor to break up the horror. Chan Ki then gets all annoyed and rushes to his bedroom. Yoon then worries about why he can’t get in touch with Mi So. The police warns the Lees that this might not be a simple missing child case, but a kidnapping since Hae Ram is the daughter of CK Group. Myung Ja doesn’t care how much money it takes, but she’s willing to pay anything to get her granddaughter back safely. They only thing they can do know is try to keep calm and wait. Not very helpful advice, but what else can you do? Mi So goes into her bedroom and recalls the incident. She really didn’t have her back turned all that long. She starts hitting herself hard in the chest and bawling. WHY? Why did she let go of Hae Ram’s hand. WOW. What amazing acting. I mean it. You can feel her pain like a physical, tangible thing. You know…karma, poetic justice…it would serve Na Young right if she ended up with a child of her own someday only to lose it. Not that I will ever wish any ill on a child because of their parent as children should never have to pay for their parents’ misdeeds. 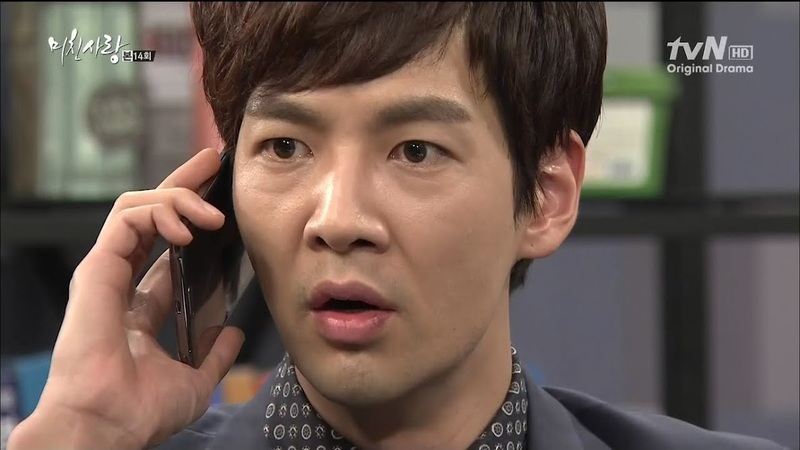 Meanwhile, the anxious Na Young is on the phone with Kang Sik who says he has the girl. She demands to hear Hae Ram. Kang Sik holds up the phone and Na Young hears the little girl bawling and asking for food. Na Young tells him to feed the child and try to get her to stop crying as she will get sick. 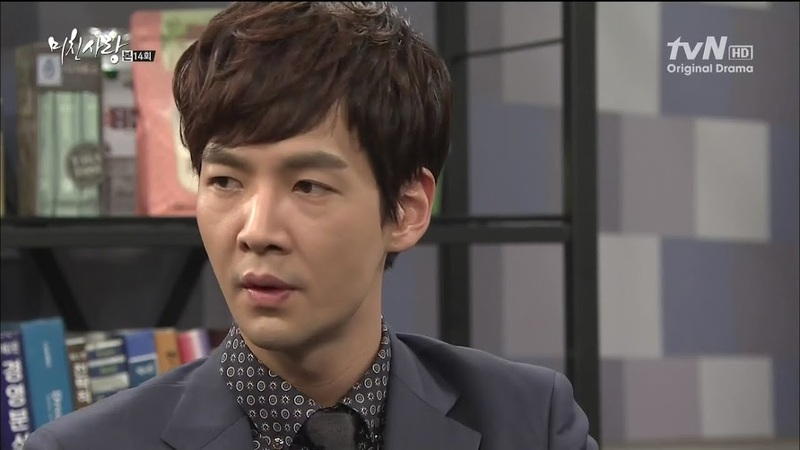 Kang Sik is then ordered to go to a hotel and lay low until Na Young contacts him the next day. Na Young hangs up and still hears the crying Hae Ram. What has she done? She opens up a bottle of wine and laughs and cries. She isn’t happy with herself and what she’s done, but all she can do is pray Eun Joo hang on and suffer all the pain like she has suffered. Sick, twisted puppy. I must say this…no pain that you yourself have endured all of these years cannot equate to the pain of losing a child. Her actions are beyond justifiable – but justify them she does. The drunk girls ends up at Baek’s apartment knocking and yelling. The annoyed Baek lets her in and asks who she’s been drinking with. Herself. She then complains she’s lived her life wrong. Everyday it feels like she’s walking on thing ice. She wishes to kill and smash everything. How did she become so vicious? Baek tells her to rest. Sure. Sleep. She will sleep as it’s too hard. Baek then asks if CK is the only company out there. You will go through so many different things in life—even times so painful that you might want to die. It will pass. Baek tells her to forget what happened today. This shocks her. She then turns to him and asks if he can stay with her as it is too much for her to bear alone. Baek nicely agrees to let her stay the night. Kick her out. She doesn’t deserve sympathy or comfort as she’s ruined her own life. Kang Sik is sitting in the van when Hae Ram wakes up and immediately starts crying. This is grating on his nerves. Mi So seems to hear the crying Hae Ram and leaves. This shocks Myung Ja and Min Jae who chases after his wife. Mi So gets in a taxi to Pa Ju followed by Min Jae. Mi So goes back to the market where she keeps hearing her crying daughter. She yells that she is there and screams her daughter’s name. End episode. Hmm…if Hae Ram doesn’t end up dying (hopefully not)…do you think Na Young might ditch her in an orphanage somewhere far away? I don’t put anything past that woman. Will Myung Ja and Min Jae get the truth out of her before she does something even worse?